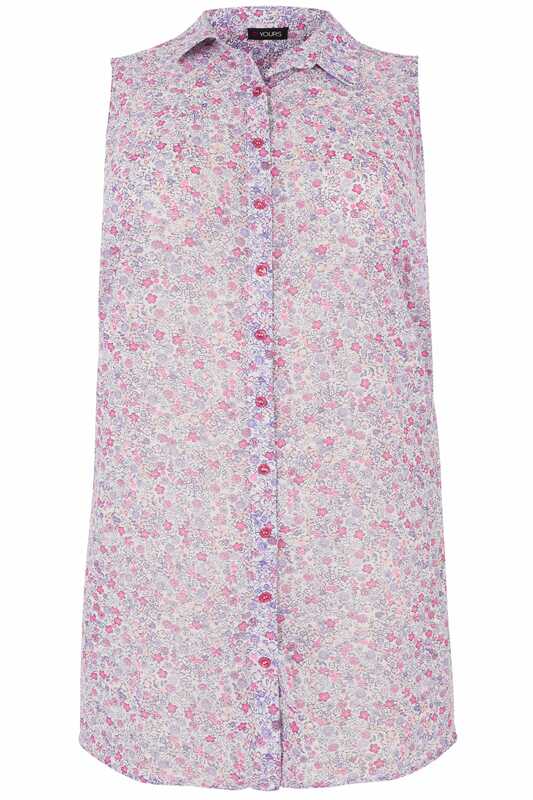 Add colour to your daytime wardrobe with this pretty sleeveless shirt. 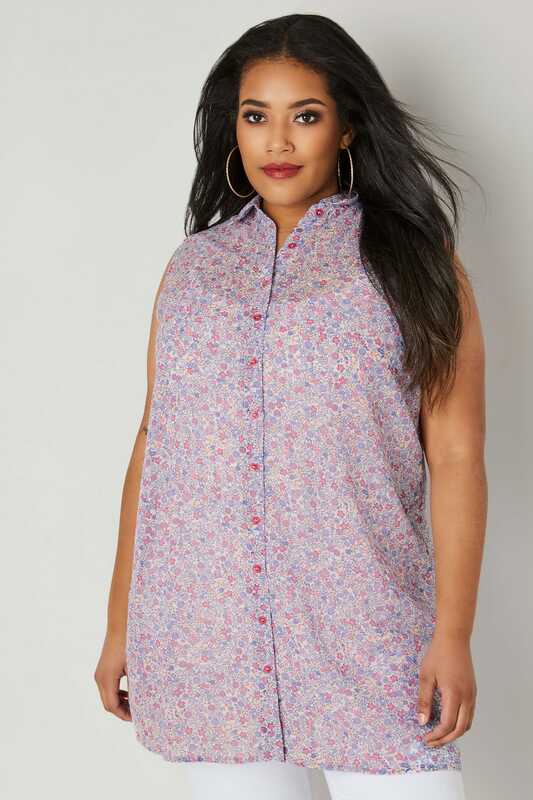 Made from a lightweight chiffon fabric, its shape flattering longline style is secured with button fastenings. Team with denim and flats for an effortlessly chic look. 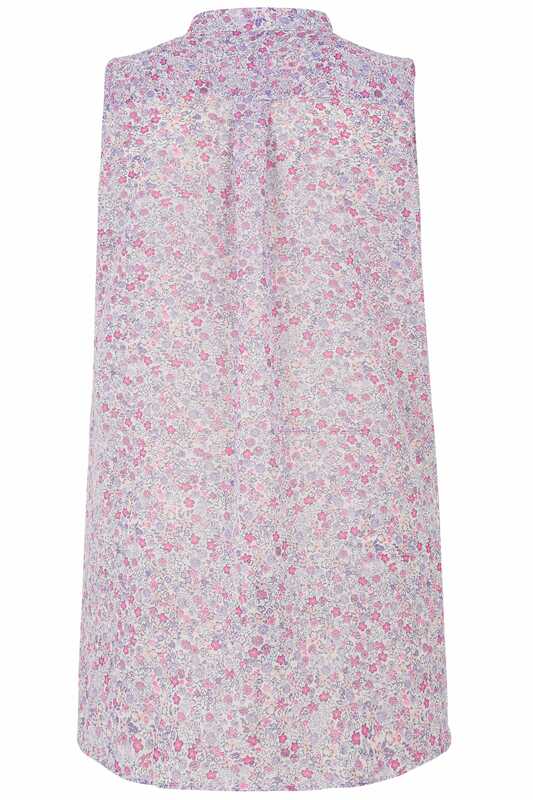 We are loving the small floral print in a purple and pink hue.